Looking for the best technology for your company? 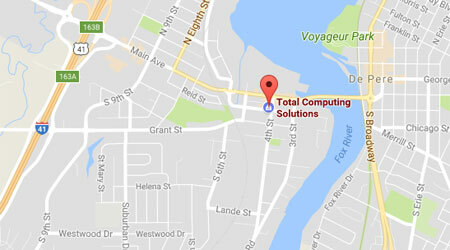 Total Computing Solutions offers a wide range of IT products for all of your business technology needs. We take pride in offering only the highest quality products that have proven their value. We have experience with and a wealth of knowledge about our products and stand behind each one. Get the best technology for your business from Total Computing Solutions. To learn more about our products and what they can do for your business give us a call at (920) 569-2681, or send an e-mail to service@tcsdepere.com, to speak with a member of our team today! You need your computer to serve a specific purpose, so why would you settle for a generic store brand model? Total Computing Solutions can custom build you a machine that is tailored to your specific needs and give you the confidence in knowing you’re using the best tool for the job. We pride ourselves on offering the highest quality products to cover all of your business technology needs. For more information on our product offerings, contact Total Computing Solutions at (920) 569-2681 or service@tcsdepere.com.